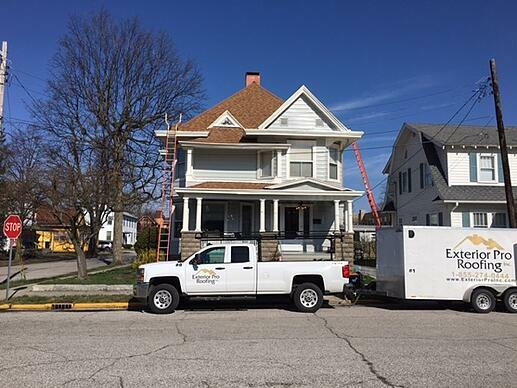 When the owner of a historic home in Vincennes, Indiana began to notice that their box gutters were leaking and in need of repair they started to look for a contractor who might be able to help. 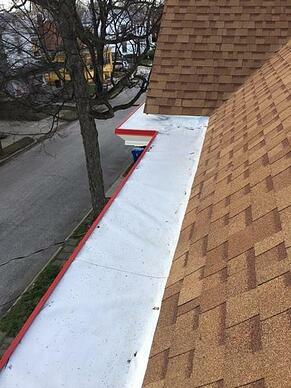 They were referred to Exterior Pro Rooﬁng because of their extensive work with box gutter repair on historic homes. 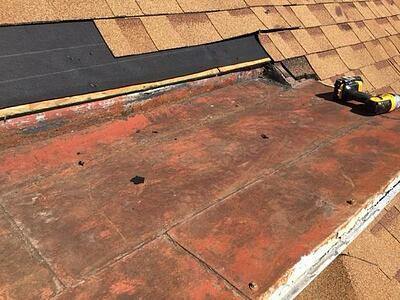 A site visit was scheduled to see if the job was a ﬁt for the rooﬁng company and here’s what they found. The existing box gutters were originally well constructed and build out of sheet metal. However, over time rust holes had formed allowing leaks to travel into the sofﬁts and down the exterior walls of the older home. The sodered joints in the metal were also coming loose and leaking.But the good news is that this job was a perfect candidate for Exterior Pro’s Box gutter liner. The details of the job were discussed, work was scheduled, and material ordered. The home owner had chosen a gray membrane color but had decided to use red for the color of the snap metal trims that accompany the Exterior Pro box gutter reline system. The entire job took just two long days with a crew of 5. The guys began by setting up safety equipment around the perimeter of the tall home and then started to remove the ﬁrst three rows of shingles. At the same time the membrane was being custom cut and hot air seamed together on the ground to ﬁt speciﬁc areas of the home. This method means the new box gutter liner ﬁts perfect each and every time. 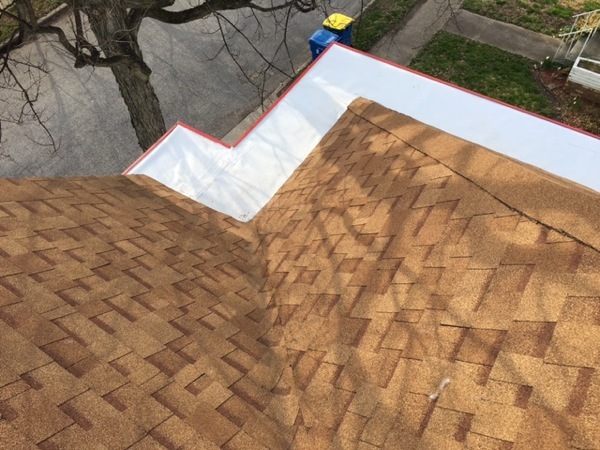 After the shingles were removed a layer of 1/2 insulation was installed to separate the old metal box gutter from the new PVC membrane that would serve as the liner. Next the base piece or cleat of the metal trim is installed around the outsider perimeter of the box gutter. With the box gutter prepped and ready the crew installed the new box gutter liner. 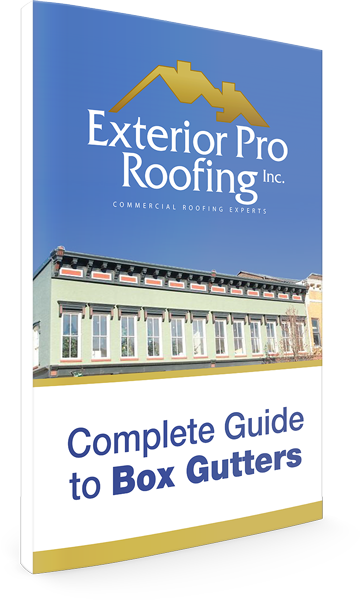 Exterior Pro fabricates the liners to ﬁt according the style of box gutter on each individual home or building so they always ﬁt. Once the membrane is installed the shingles are put back on and the seams between the pieces of liner are hot air welded together and the drain sleeves are installed and welded. Finally the 2nd piece of colored facer is hooked onto the base piece and snapped into place. This box gutter repair project will last for at least the next 20 plus years keeping the historic home from water damage and the new metal trims greatly add to the homes appearance.